RIO Euro Nymph Leader The perfect stealthy strike detector. RIO’S Euro Nymph Leader is a uniquely designed tapered leader, and ideal for European nymphing techniques. 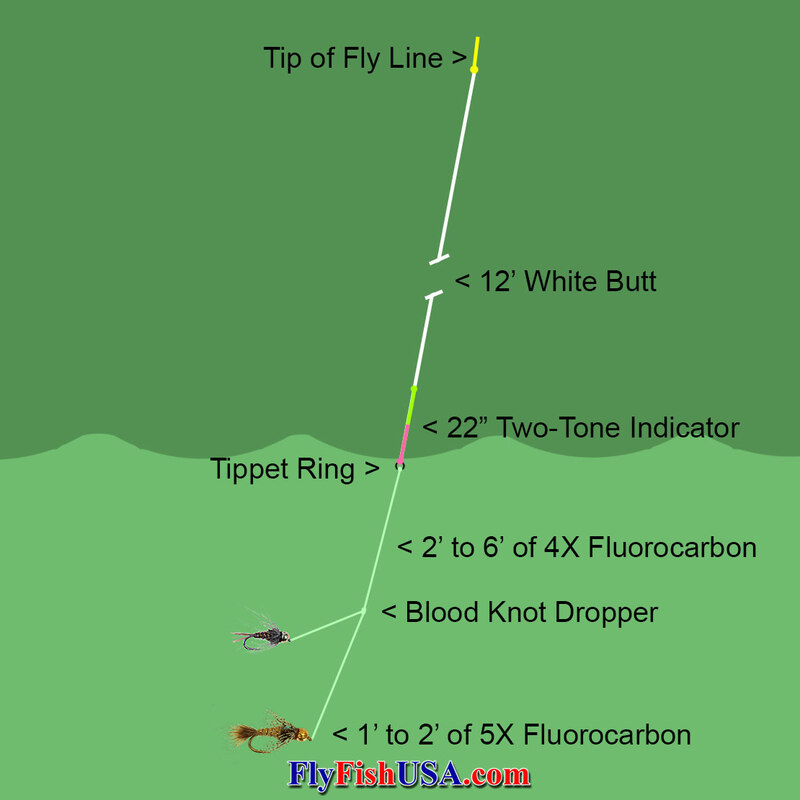 The leader starts with 9’ of a milky-white tapered nylon for visibility, which is then attached to 22” of RIO's 2X, two-tone Indicator Tippet material, for maximum visibility in all light conditions, and to make subtle strike detection easier. The leader ends with a tippet ring, allowing anglers to attach their own tippet to match the water type and conditions. Best to add fluorocarbon tippet and dropper to the tippet ring.